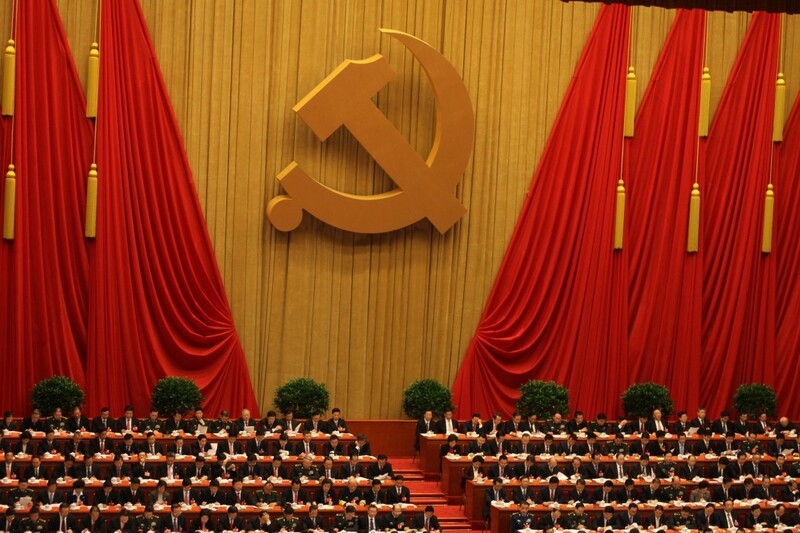 Chinese officials have defended Beijing’s interpretation of Hong Kong’s mini-constitution, saying that the move helps “protect the rule of law and improve the legal system” of the autonomous territory. Critics say that the interpretation sends a chilling message to Hongkongers. China’s top legislature, the Standing Committee of the National People’s Congress (NPCSC), voted on and passed The NPCSC’s interpretation of the Basic Law Article 104 of the Hong Kong Special Administrative Region with unanimous support on Monday morning. This is the fifth Basic Law’s interpretation since the 1997 handover. Article 104 of the Basic Law stipulates that lawmakers, judges, the chief executives and top officials must, “in accordance with law,” swear allegiance to the Hong Kong SAR. Monday’s interpretation sought to define the term “in accordance with law.” It said oath-taking is a mandatory procedure for assuming public office, and it must “fulfil the statutory requirements in format and content” by “accurately, completely and solemnly” reading out phrases such as the full name of Hong Kong. Oath-takers are not allowed to retake their pledges and will be disqualified from assuming public office if they refuse to take the oaths, according to the interpretation. “Refuse” means deliberately reading out an altered oath or reading the oath in an insincere manner. 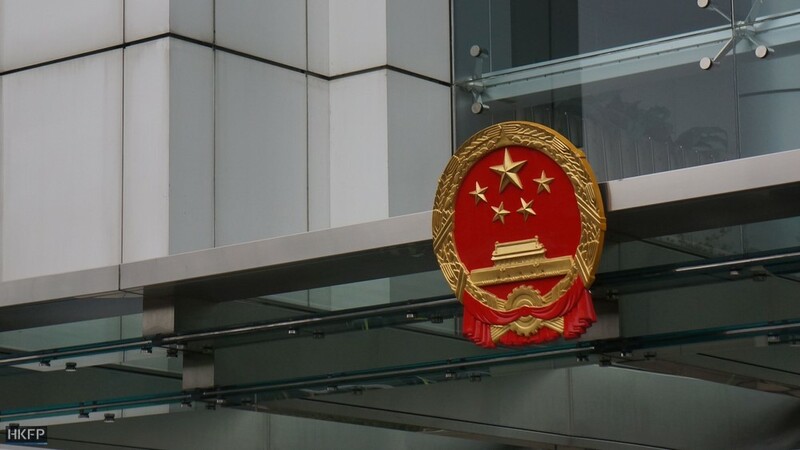 The NPCSC also stated that the “oath administrator” has the duty to confirm that the oath-taking complies with Hong Kong law and the interpretation. 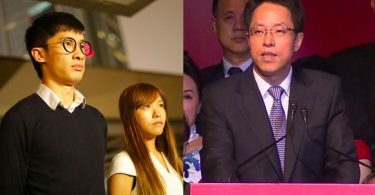 A spokesperson for the China Liaison Office – Beijing’s organ in Hong Kong – said on Monday that the interpretation serves to fulfil Beijing’s constitutional duty, and that it is “very important, very necessary and very timely” on the basis that Hong Kong’s existing laws regarding oath-taking are incomplete and there are controversies surrounding the relevant regulations. The China Liaison Office in Hong Kong. Photo: HKFP. 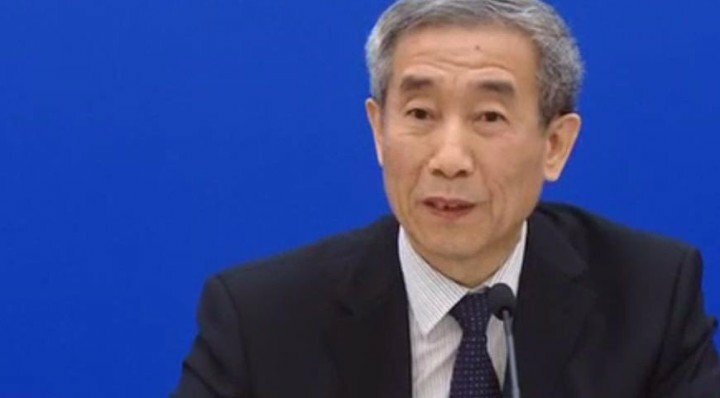 The spokesperson said that an interpretation of the Basic Law will help protect the rule of law, draw a bottom line and improve the legal system. “It will definitely gain the approval and support of the majority of Hong Kong society,” he said. 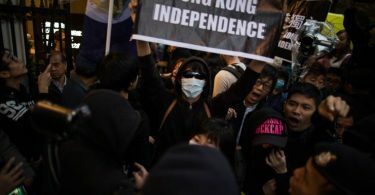 He added that the Hong Kong government cannot use “judicial independence” as an excuse to reject or condemn Beijing’s lawful right to interpret the Basic Law. Li Fei. Photo: Now TV screenshot. Li said young people received “organised teaching” about Hong Kong independence, but they will understand that it is wrong later in life. “NPCSC’s ‘legal interpretation’ is merely a technical fig leaf for a crude political move to shut out dissent from Hong Kong’s legislature,” Wang said. Pro-Beijing politicians such as lawmaker Priscilla Leung began showing their support for the Basic Law interpretation on Friday, when the Hong Kong government confirmed that the NPCSC will discuss interpreting the Basic Law at its current meeting. Many in the pro-Beijing camp refrained from expressing their support before the confirmation. A protest against Beijing’s interpretation of the Basic Law was held on Sunday. 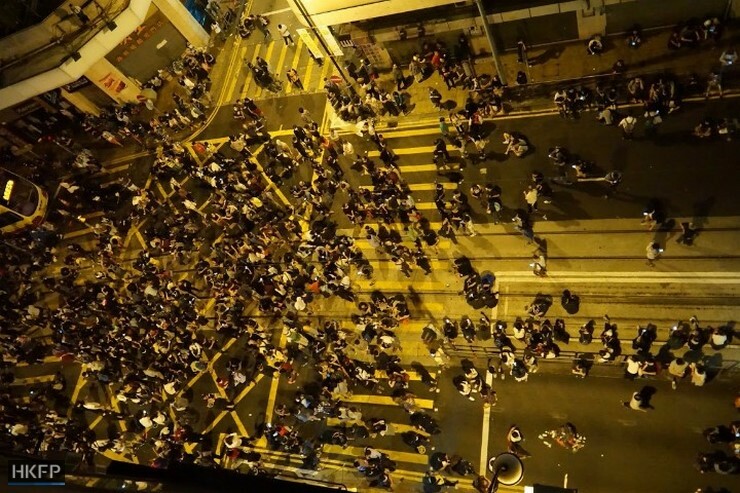 It ended with clashes outside the China Liaison Office.